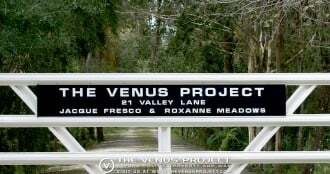 The Venus Project is looking for volunteers with backgrounds in Marketing and Digital Content Creation to work and collaborate with the marketing department. The main goals of this department are to develop strategies that promote The Venus Project’s aims and proposals more effectively, create and implement projects to reach a wider audience and to develop a consistent image worldwide. If you are interested in becoming a candidate for the marketing department, can commit to a minimum of five hours per week and are a professional in the fields of Marketing, Journalism/Writing/Translations, Video Production, Graphic Design or Data Collection and want to get involved, we would like to hear from you. You will receive instructions on how to sign and submit the Non-Disclosure Agreement and join the team after you fill out the form below and go through the educational materials. If you have any questions about volunteering or about the application process, you can email us at: [email protected].